This Saturday the 7th Jan, the BBC will be starting a new series called Taboo starring Tom Hardy (Revenant, Mad Max and lots of other stuff over here). The trailer for the show can be found here https://www.youtube.com/watch?v=W1fiijqrKuc This really does promise to be one heck of a show, so catch it if you can. I was asked to make a series of pieces for the series; a variety of leatherwork, but more interestingly, a series of prop knives. The rather nasty hook knives were designed based on ideas of Toms' and developed up myself to be as if they were made on a village forge a year to two apart. The blades were superheated to blister the carbon out and the were just brushed back. 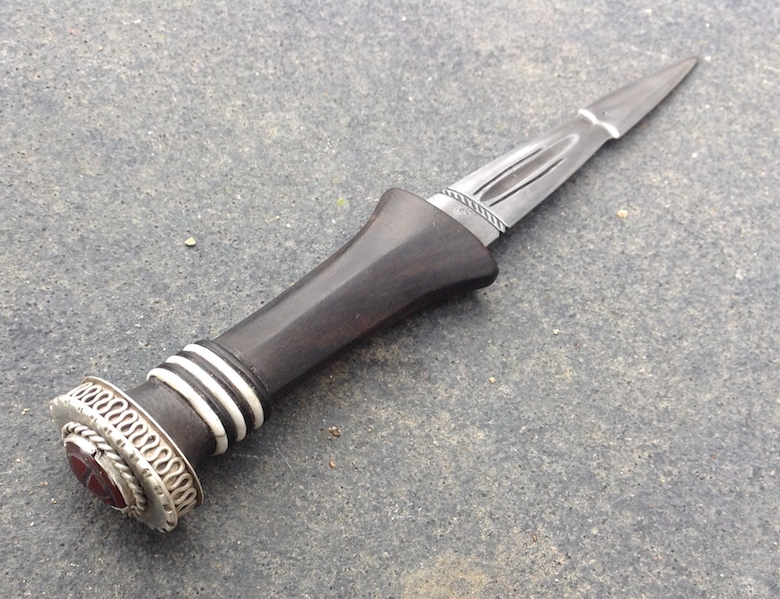 The blades were punched and chiseled to add detail and the scales one one knife are buffalo horn and on the other ox and rather crudely grooved. The finger rings are integral to the rest of the knife. The scabbards were meant to be worn horizontally on the belt and have cords to hold them in. Tom loved these knives and as a consequence I suspect they will be seen often in the films. The 'African' styled knives were designed by the art department and needed to fulfil certain requirements on size and appearance and so were based on a series of original pieces. 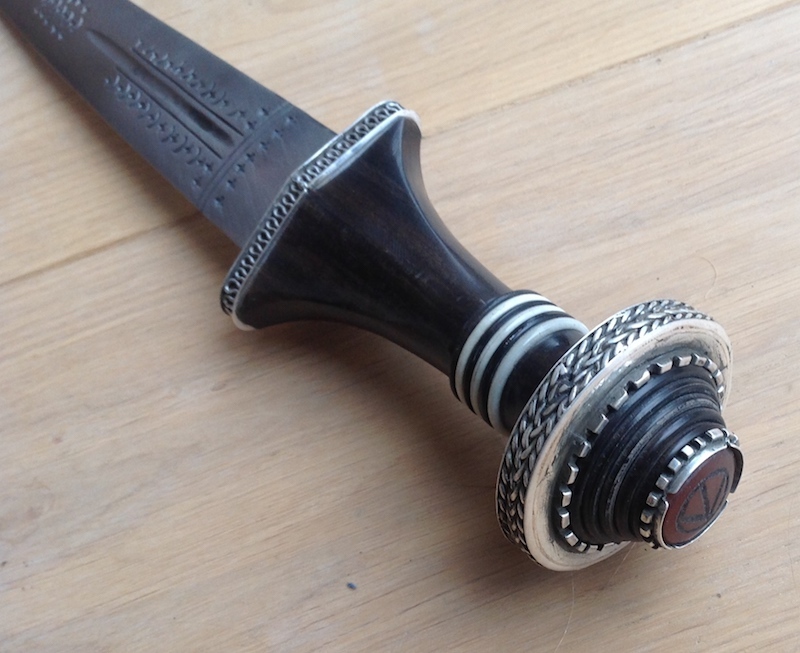 The handles are in ebony and bone with silver fabricated fittings with carved agate and the decoration to the blade is all stamped and again the blades were aged by heat and brought back, to give a lot of texture. 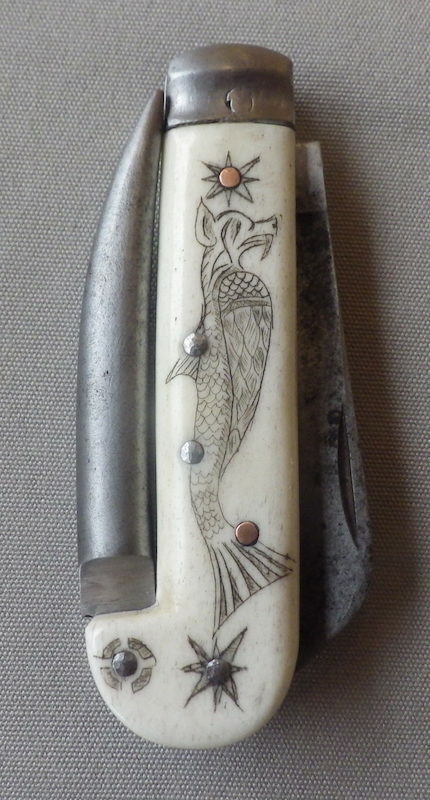 The sailors knife was (thankfully) meant to be a little crude and was based on a 1942 UK army knife and had new scales and bolsters which were then scrimshawed. As this was my first attempt at scrimshaw and I deliberately chose some badly done originals to follow, it worked out OK. I marked all the pieces with my makers mark, so I will chuckle if these knives ever get picked up by the film reproduction people and they think it is part of the decoration. I don't understand when production companies come up with designs like this --particularly things like the 1942 knife which looks like all the WW2 British army knives... For a show set in the early 1800s? They could give him a semi-auto pistol and be closer in date! Same with the strange wide belt set-up. Not to degrade your work, which for the film does look fantastic, but I do have to ask --does the maker, like you, ever get to steer them back to reality? Zach Gordon wrote "I don't understand when production companies come up with designs like this --particularly things like the 1942 knife which looks like all the WW2 British army knives... For a show set in the early 1800s? They could give him a semi-auto pistol and be closer in date! Same with the strange wide belt set-up. Not to degrade your work, which for the film does look fantastic, but I do have to ask --does the maker, like you, ever get to steer them back to reality? " 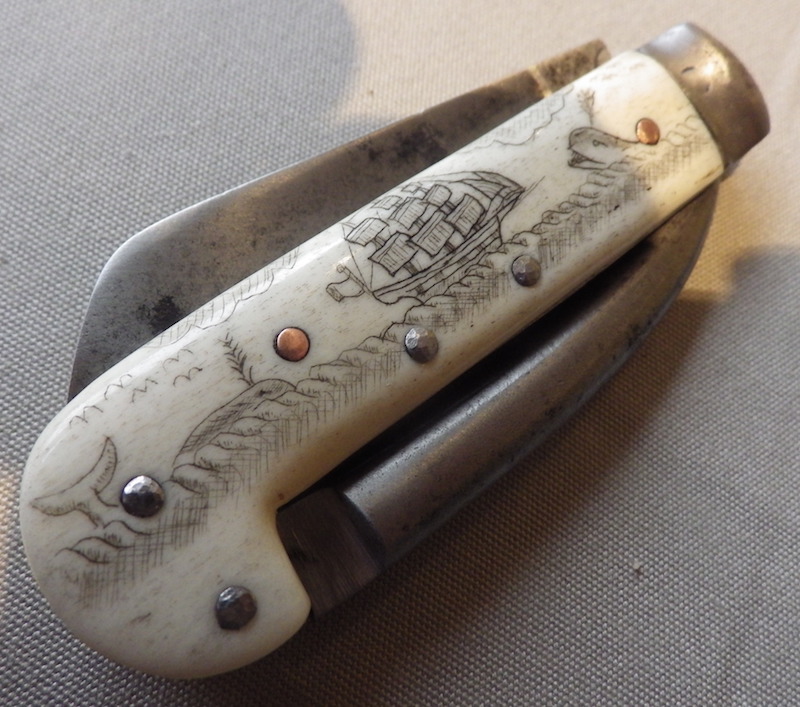 To be fair to the folder, the fundamental design of these knives were around circa 1800, so the fact it was based off an original of later date, matters to you because you know, but actually 99.999% wouldn't have a clue and would care less. They have got to save money where they can. As regards weird knives and belts and so on there are a few reasons for all this kind of thing and the main one is that the design is driven by strong people with strong agendas and what was actually around is often less important as long as the message gets through. We all know a few of these as standards. Baddies always wear black, preferably leather and are either beautiful beyond reason, dirty or disfigured. When you get shot you fly backwards 6 feet. Medieval people were drab and dirty. There is only a limited amount of dialogue in a film and so this does not want to be used for explaining things, but for telling the story concisely and as we all know 'a picture tells a thousand words', so actually the appearance of a film is totally integral to making it understood hence the visual language of film. I am no expert, but lets say looking at the curved knives and how they fit with the story, they explain the guy is tough, probably a bit mean, capable of being nasty, gets in trouble a lot, is always prepared and faithful to himself and his roots (he made them out in the wilds). A small Sheffield made belt knife would say none of this about him. As regards steering them back to reality? As described above, I am really not an expert in this; I may think I am an 'expert' in medieval weaponry and perhaps that is true relative to your average researcher from the props department, but I am certainly not an expert in what a film needs to tell a story. My classic putdown I received when trying to steer a person back to reality was "I am not here to debate" - I think I was told. Like Tod I do a lot of work on film and tv productions. Basically, you show the prod team ideas, originals, tell them whats right and wrong and pitfalls I'd personally like to avoid and what will get angry letters from people who post on forums like this (me included!). Then I let them get on with it and make their choices. because life is too short to argue whether that glaze, that style of bowl, that sword pommel, etc is wrong or not. Some crews are desperate to have that seal of authenticity from an expert, others less so. I do lots of documentaries so that doesn't always work of course but having just spent a good deal of time getting some 1930's medical kit, drinking glasses and type of rifle right I can say we do try our best! so this weeks important job in tv la la land is finding wallpaper to match that on the walls of the Impatiev house where the Romanovs were murdered. the fact that we can't hire any period Russian weaponry and I'm going to have to shoot them with a mix of out of period British, German and American pistols and rifles is neither here not there. The wallpaper will match the pics. Hoorah! I really like the look and flavor of those African knives! An interesting mix (to me) of northern and Central African design, harmoniously melded. Kudos! Really cool stuff in the context of a TV drama. And I'd call it a big honor to work (directly or indirectly?) with Tom Hardy. I just watched his double portrayal of the Kray twins in Legend and was very impressed with him, if not the whole move. He's one of the most versatile and serious action actors to come out in quite a while (and I gather he's the co-producer/creater for this new TV show with his father). Don't you get to retain some rights or % of the profit if that happens? Haha, I know someone who was a historical advisor/fact checker for a rather popular television drama. The writers had devised several scenes involving wolves. He tried to explain to them that wolves had been extinct in Britain for almost 100 years by that point, but to no avail! I'm glad that movies are fast and loose with historical dialogue. I don't think I could enjoy a Roman film entirely in Latin or Early Middle Saxon film in old English because I would fail to undestand anything they are saying. I wouldn't mind at all seing thing that just plain wierd to modern eyes as long as I can understand what people are saying and thus follow the story. 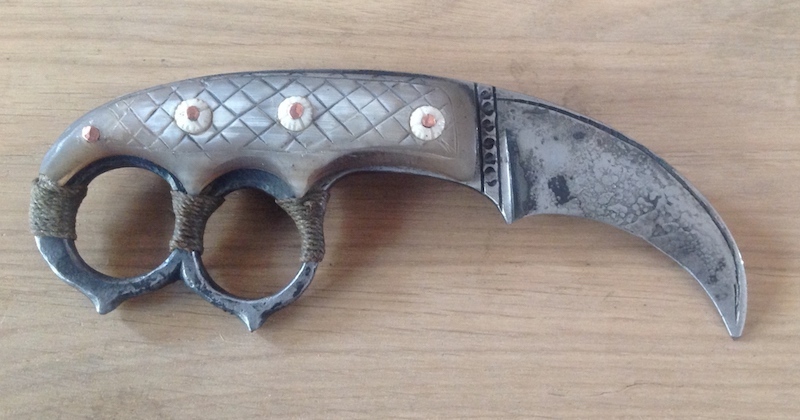 I will see your wrong models/nationalities and raise you a 'Viking bollock dagger', an item that I will certainly show you no pictures of. As you say, you are ultimately paid to give them what they want not what they should have. I could if it were in my contact, but that sort of thing would only ever get sorted by the big suppliers so in a practical sense it is not possible for the likes of me. As you say, you are ultimately paid to give them what they want not what they should have. I work regulalry with one director who likes what he likes. We are forever doing feasting scenes. He likes pewter, can't get enough of it. We have reached a point in our working relationship where we both know I've told him that only certain people quaff from tankards and flagons and regardless of what accurate wood, pottery, glass, or gold and silverware I can supply to anyone from Mary Magdalen to Charles II and pretty much everyone inbetween he's paying me for pewter and pewter is what i bring. The knives are prominent in the trailer, and I see that the dagger has been incorporated into the title art! I was looking forward to this series anyway, but I'm really excited now to know your connection. I hope great things come of it! I can imagine licensed versions of everything from blades to beaver hats, but I certainly wish you a swift trade in versions from your own workshop so folks new to knives get a good introduction to quality. Lovely work, Leo. 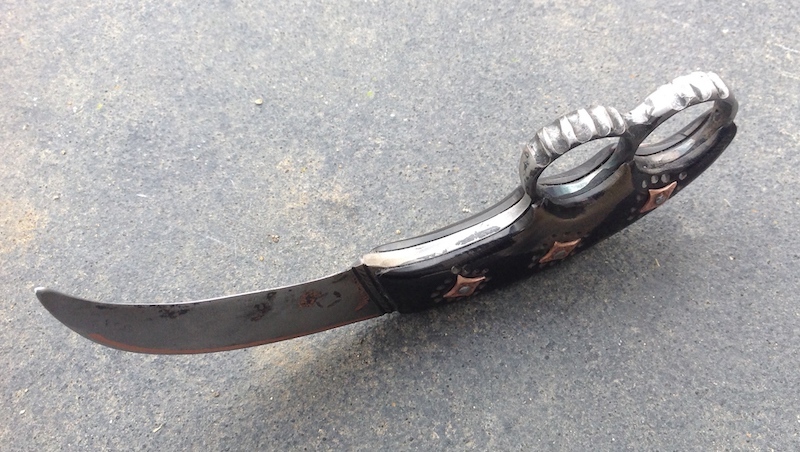 Those knives tell a story on their own, and that is what good props are all about. And I second everything that Mark says too, the film industry is ... different, a world unto itself. When I started on LOTR 18 years ago I knew stuff all about the needs of the film and TV industry, and it was a steep learning curve. I know a lot more now, for better or worse. In the end, the ONLY thing that matters is whether the prop does its job on the day to fit into the character and story telling, in front of camera. But everything leading up to that moment can be full of reviews, changes and angst. Particularly with the historical-fantasy films that are popular today (straight history films aren't getting the big budgets any more), historically accurate props don't matter, and it sometimes feels like a race to put the weirdest looking swords etc in front of camera. When I'm watching a film now, I am also analysing the decisions that I can see were taken to get to the final props and how they are used on screen, because there is a lot more to making a film than just making a movie. History is my thing, so I like seeing real swords based on historical patterns on screen. But I also accept the reality of my job is to make what the director wants. Especially working at Weta, I get to see that I am just a cog in a giant machine, my opinions have a certain weight due to my experience now, but no more. In the end, the director gets what the director wants. If my opinion is asked for I give it, then stop pushing, because it isn't my call. Sometimes this works out like on LOTR, when the swords were fantastical but as realistic as I could make them within the brief and designs (and fortunate that the designs were led by somebody like John Howe, who passionate about swords and armour that "worked"), and results in work I will be eternally proud of. Other times, I do the work to the best of my ability, meet the (sometimes changing) design brief, and accept the final film for what it is, or isn't. I recall Peter Jackson talking about this topic in one of the extended LOTR DVD documentaries. In the story, Jackson kept telling the props guys to make the Witch King's flail bigger (the one used in his death scene). They thought the director was crazy, but he was sure it would work on film. And it did. I was one of those people, I thought it was a crazy idea, and it did work on film. A perfect example of how a good director knows what is needed for a shot, even if others don't see it. For a not-so-good director, it can be a disaster though. Looking forward to this. I like Tom Hardy. Knives look great Leo. But everything you do is lovely. Ahh, working for film or TV. Yep we all understand it. I still get berated for the armour in Full Metal Jousting. Absolutely nothing to do with what we actually wanted to use. If there had been a season two I think I might have had them on board to use period harness with froggies etc. But alas, it never happened. I got a chance to watch the first couple of episodes last night and I saw his knife go to work in the alley scene. 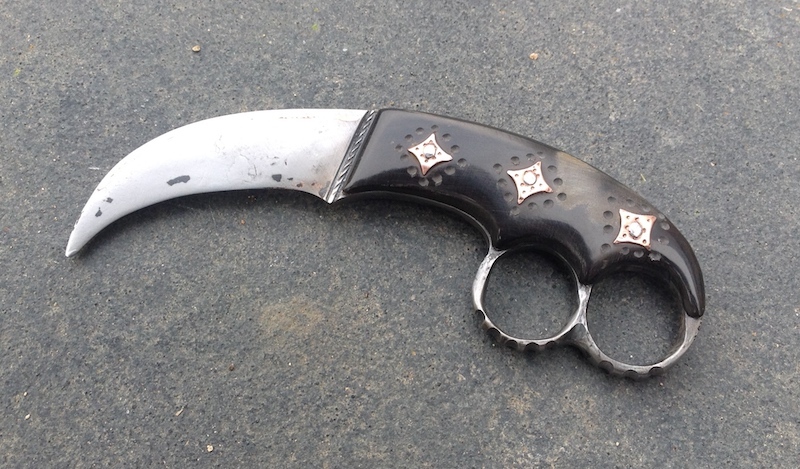 It had a kerambit-like quality to it and looked rough but wicked. i believe there was a scene or two prior that showcased it a bit more in better light. Clearly they are happy with it. Nice to know it was made by a quality artist. Thanks guys and yes I am waiting for the moment when the knives and Tom are clearly visible together as it is all rather dark and Gothic, but I am enjoying it a lot. First episode not so sure, second I thought was cracking and I think it will hot up from here.